or call the church office (286-6638). On Sunday morning, children, ages 4 through 5th grade, are invited to take part in an interactive service created just for them. 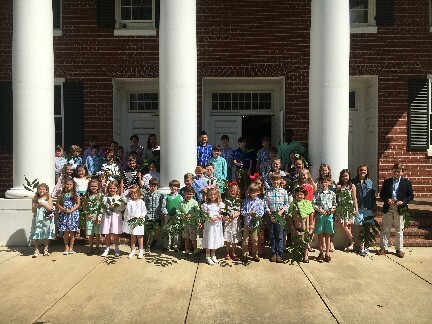 The service takes place during the Worship Hour from 10:45 - 11:45 am in the fellowship hall for 4 year olds to fifth grade. 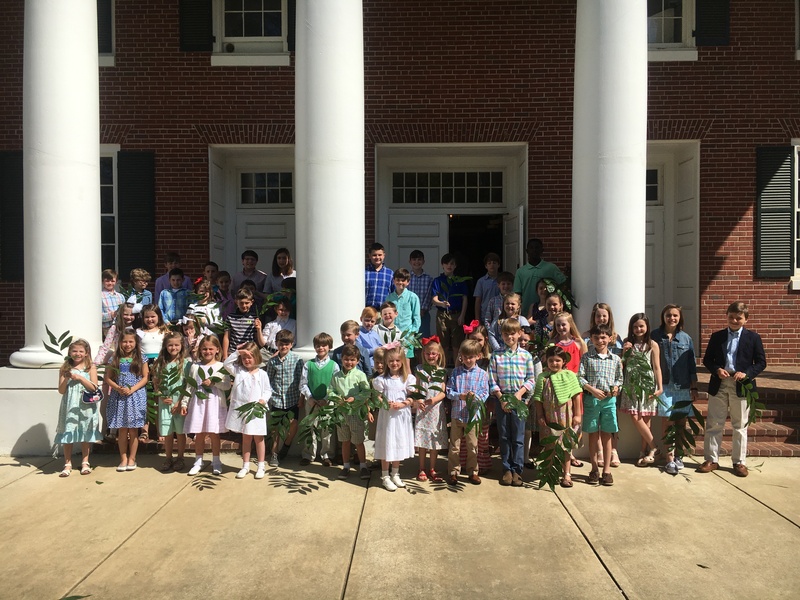 The children's worship service incorporates all of the aspects of the adult worship service including the Lord's Prayer, Apostle's Creed, Doxology, Offering, Scripture-reading, the Children's Catechism, music, and a Biblical lesson. 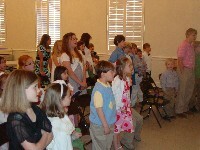 The service is designed to teach children to worship God and build their relationship with Jesus Christ. We are currently utilizing the multimedia curriculum produced by Elevate. Children are divided by age and each group have their own classroom. The curriculums vary by age and are taught by members of the congregation. 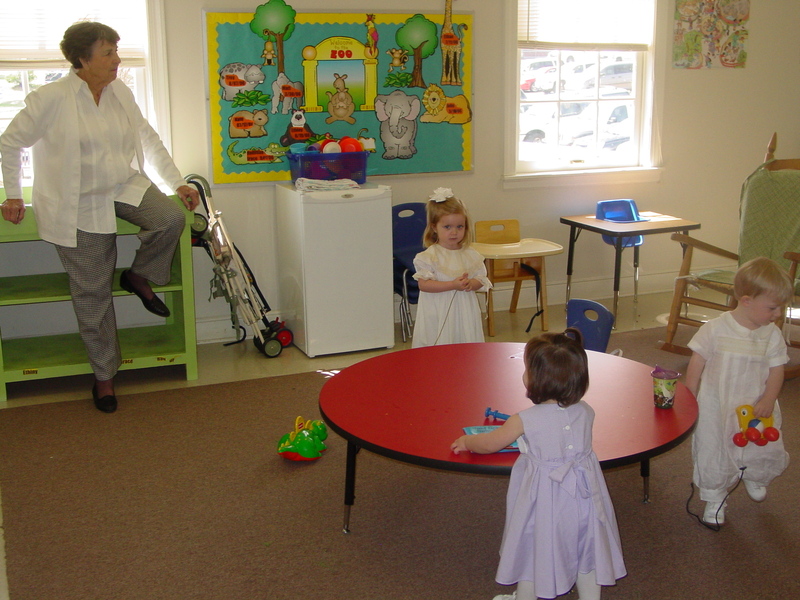 The First Presbyterian nursery is located in the two rooms on the left when you enter the education building from side parking lot (by the play ground). 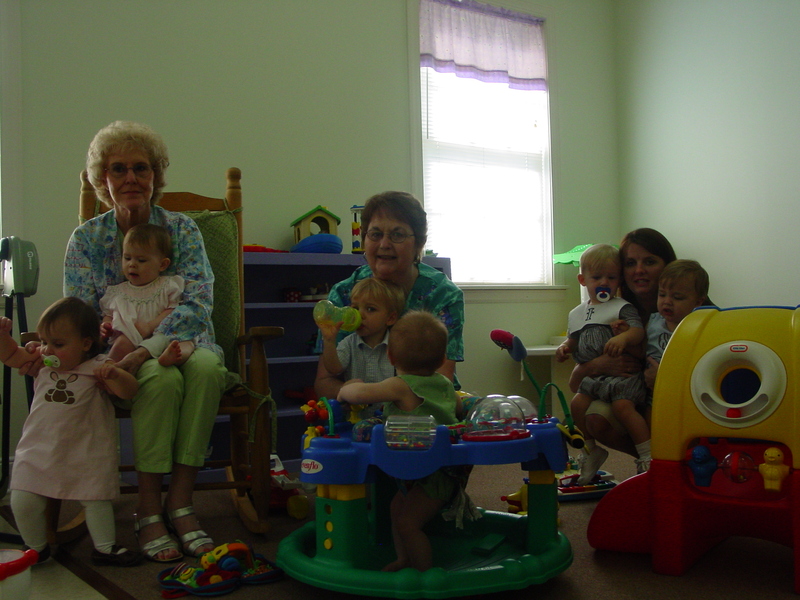 The nursery is open to all babies and toddlers birth through age two (those two and older graduate to Sunday School and Children's Church at the discretion of the parents). The younger babies that are not walking are located in the second door on the left and the toddlers are in the first room on the left. The nursery is staffed by four full time workers, Dorothy Davis, Joyce Griffith, Carol Brooks, and Sherri Thrasher. 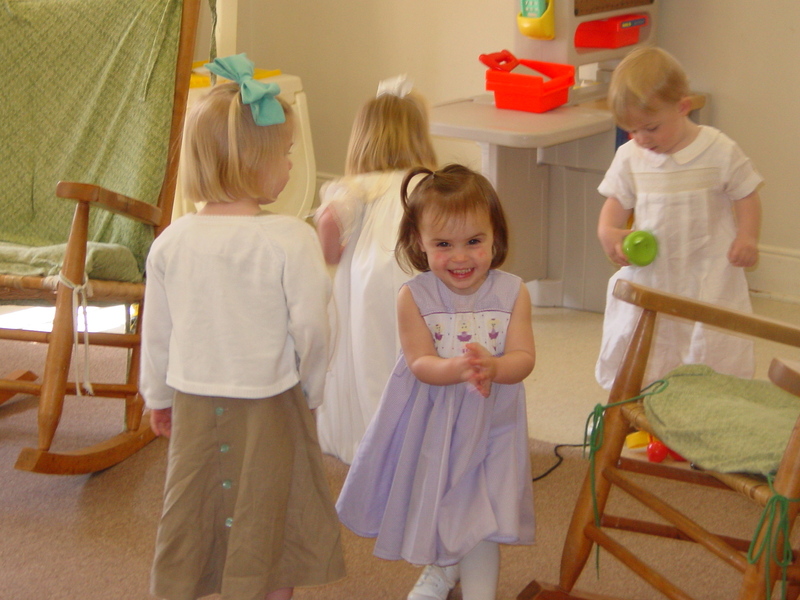 The nursery is available during Sunday School, Sunday morning worship, the Wednesday night activities, and various other special meetings. On Wednesday nights at First Presbyterian children ages 2 through 6th grade are led in a energetic Bible- based study called KIDSQUEST. They begin in the sanctuary with a large group presentation pertaining to the night's lesson and praise and worship music. 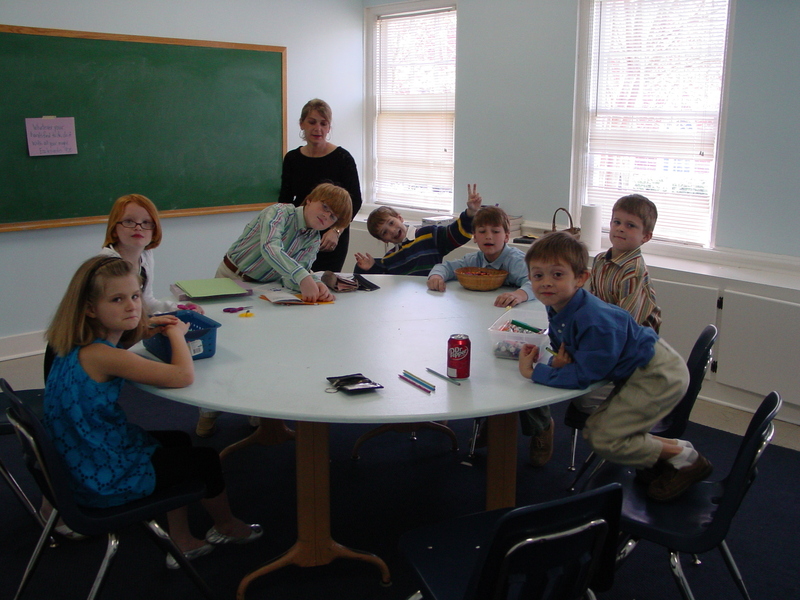 The children then disperse into age-based classes for a more in-depth study of the lesson. 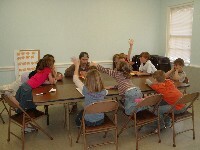 The children are also encouraged to participate in Biblical memory work. Quarterly service projects, outings, and game nights are also included in KIDSQUEST. 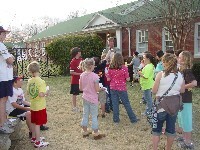 Every Wednesday at 3:15 the FPC bus picks up the K-6th grade children of First Presbyterian at each Corinth city school. 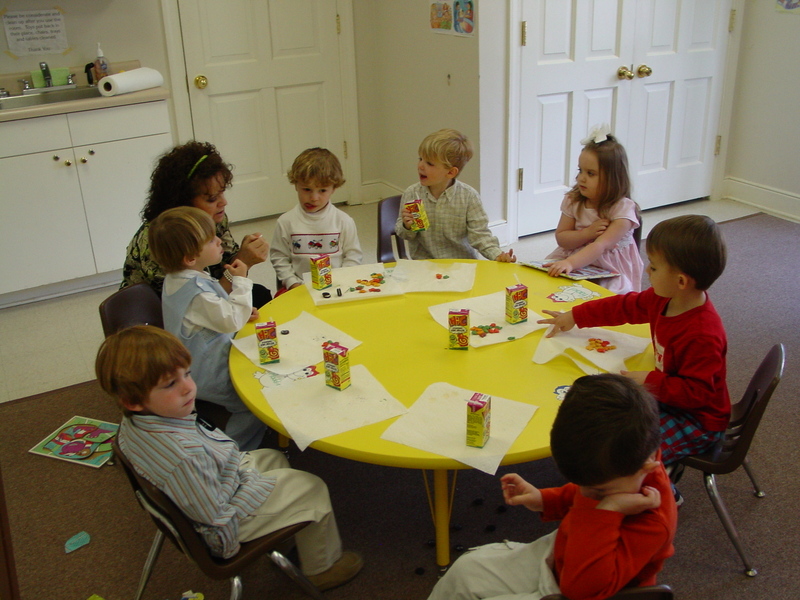 The children arrive at church and have a snack. After snack time, the children head to the sanctuary to practice singing. They treat the congregation to their joyful noise several times throughout the year. Following choir, the children have play time/homework time until supper at 4:45. Playtime continues after supper until KIDSQUEST begins at 5:45.